We’ve been told to think outside the box so often that it almost goes without saying; it hardly raises an eyebrow these days. But what if someone told you that you need to start thinking “inside the box?” To be fair, I’m not referring to just any box; I’m talking about the Google Box. What is the Google Box? It refers to the area above the fold on your Search Engine Results Page (SERP), where the sale of your product or service either happens… or it doesn’t. Regardless of how you’re marketing yourself, this critical digital space is where a growing number of consumer decisions are taking place. If you don’t own as much of that real estate as you can, your brand could get lost in a sea of others – along with your sales. In addition to the results above the fold, the Google Box also refers to answers to questions asked on search, also known as the answer box. If you have ever searched using question words such as “how” or “what” or “when,” the answer now appears in a box at the top of the page (answer box) usually in the form of a paragraph or phrase, often referred to as snippets. Basically, snippets are Google’s answer to a search query. Sometimes, Google will even respond to a keyword phrase (without question words) with an answer box. Although the Google Answer Box has been around for a few years, it wasn’t until 2016 that brands started to realize its value. Many people attribute this change to the increase in mobile search. Indeed, a recent Microsoft study discovered that the average attention span has decreased from 12 to eight seconds in a little over the past decade. Basically, the answer box is Google’s response to consumer demand for fast, accurate answers to their search queries. A higher ranking naturally attracts more clicks or a better click-through rate (CTR). Since the answer box sits above all the other search results, it is now referred to as position zero or rank zero. It goes without saying that position zero is the most coveted position on the page. If you still need convincing, statistics show that the Google Answer Box averages an unreal 32% CTR. With these types of numbers, there is no question that the answer box represents a fantastic opportunity within organic search. With so much value embedded in the area above the fold, the trick is knowing how to get there. If your site ranks highly for certain keywords, chances are it will be featured in the answer box. Indeed, there are helpful research tools that allow you to see if your site already features in current snippets. Developing a strategy that increases your chances of being featured in answer queries is an important first step towards site optimization. The best place to start is with your keywords. Essentially, your choice of keywords determines whether you will rank high in search engine queries. You can begin by looking for an answer box that closely relates to your site content, or if it relates to content that you could develop for your website. Fortunately, there are many research tools that can make your job easier. One of the best, Moz’s Keyword Explorer, enables you to target possible search queries. For instance, by looking under the Keyword Suggestions area of their Overview page, you can find the most popular words or phrases that people use to search for businesses like yours. You can even look at their SERP Analysis box to see what your competition is doing. Tools like Moz’s Keyword Explorer are effective because of the wealth of information they provide. Since the whole point of the Answer Box is to narrow down the time and effort it takes to search, your next step should be to create content that essentially matches up with the Google Answer Box while providing a bit more information. Instead of covering basic topics common to many other sites, however, you are better off answering more difficult questions your audience would ask that can bring them to your site. In other words, think about questions your content can answer. Another great tool to find queries common to your business is the Google Keyword Planner. You can begin with your product category along with question keywords such as “where”, “why”, and “how”. By looking at phrases or snippets that have high volume, you can upgrade your own content to rank higher. Furthermore, your answer to a search query should be as literal as possible. Basically, your snippet content should use your keyword liberally without overdoing it. Updates to Google’s algorithm means that it now recognizes entities within search. But what are they and how are they different from keywords? Entities are what the keywords identify. In other words, many keywords could point to the same entity, which could be a specific place or an object or even a person’s name. Using semantic search, Google now tries to interpret the meaning or the intent of a search query by linking keywords to certain entities and including them among the results. As a consequence, you should be very precise about which entities your content describes by including those names or nouns. This is a good time to take another look at your page’s SEO title and meta description. Through these elements, you encourage the searcher to click through to your site by showing them that you’ve got even better information there. Within your meta descriptions, don’t forget to include the type of query a person would use to get the Google Answer Box. Also, include anchor text on your site that matches up with those search queries in order to build links to your Google Answer box content. While using common SEO tactics and avoiding keyword stuffing is a good place to begin, you also need to pay close attention to the quality of the content surrounding your keywords; including keywords without relevant content can adversely affect your ranking. Accurate, authoritative content matters to Google when ranking search results. Furthermore, they also place high value on content formatting such as lists, charts, and images. So, don’t forget to include these elements as well. Even after your site ranks above the fold, you still need to constantly update and improve your content in order to maintain your hard-fought ranking. 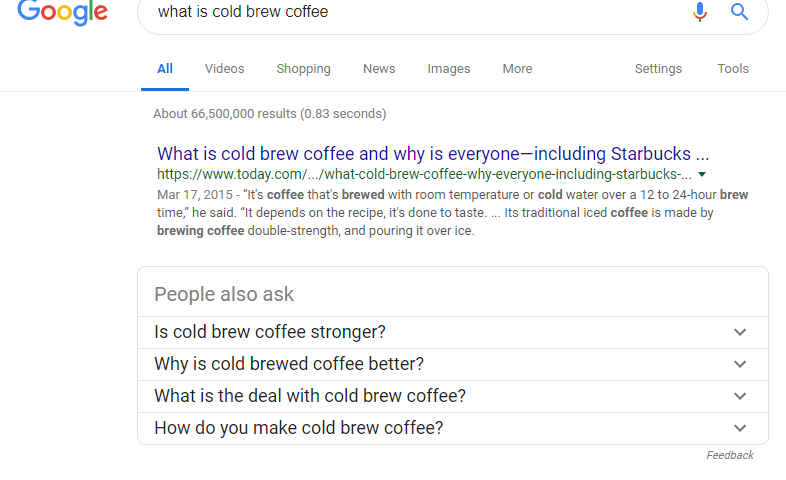 Since the science of optimizing your content for the Google Answer Box is still relatively new and untested, there’s still lots of room for trial and error. A deeper understanding of what the user is searching for will, however, help to optimize your content for search engines. Regardless of how Google responds to a search query, it’s clear that having your site in the answer box will give you a leg up on the competition. Moreover, a customized combination of these tactics should transform your Google Box into a place where people can easily find your brand instead of a Bermuda Rectangle where so many brands get lost.